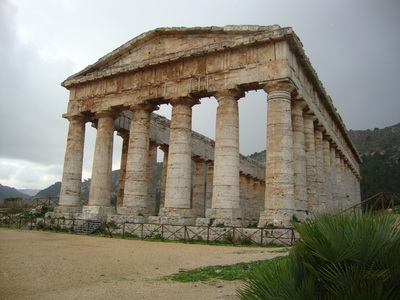 The impressive Greek doric style temple at Segesta looks as if it were built yesterday, making a valid claim to being the best preserved in the world, and its amphitheatre boasts a hilltop position on Mount Barbaro. 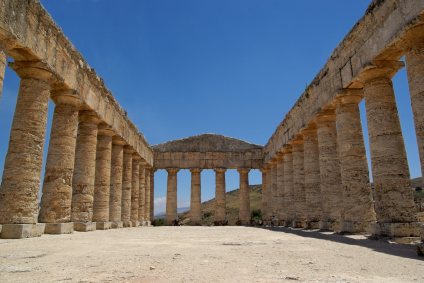 The archaeological site, 20 minutes from Trapani, reflects the presence of several ancient civilizations, beginning with the elusive Elymians. Archaeologists have established that the hill that is now occupied by Segesta's amphitheatre, the Monte Barbaro, was inhabited in the Neolithicum and Bronze Age. 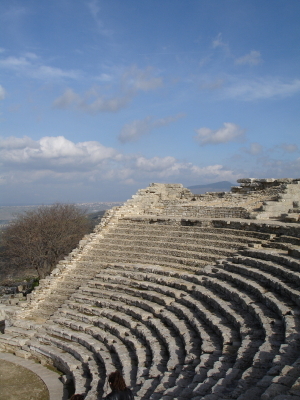 The Greeks were to call the inhabitants of this part of Sicily Elymians and believed they descended from Trojans who had left their homeland after their city had been ransacked.